This weekend was Rory McCreadie's memorial Trafalgar refight. 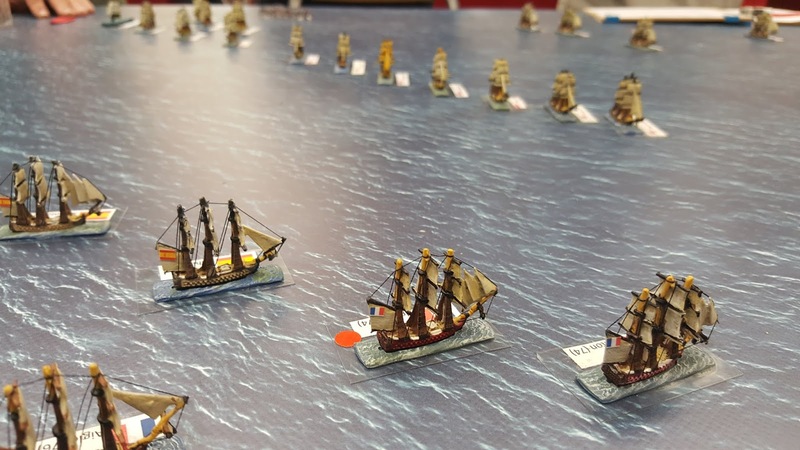 A spririted action was fought at Entoyment in Poole, resulting in a glorious victory for the French and Spanish allies. Lovely looking ships! Enjoyed the report! Wow rigging on 1/2400 scale. Very impressive! Very impressive. Our group will be playing that game this Friday. Followed on Saturday by a black-tie naval style dinner. Those 1/2400 ships are very impressive in a group like that.